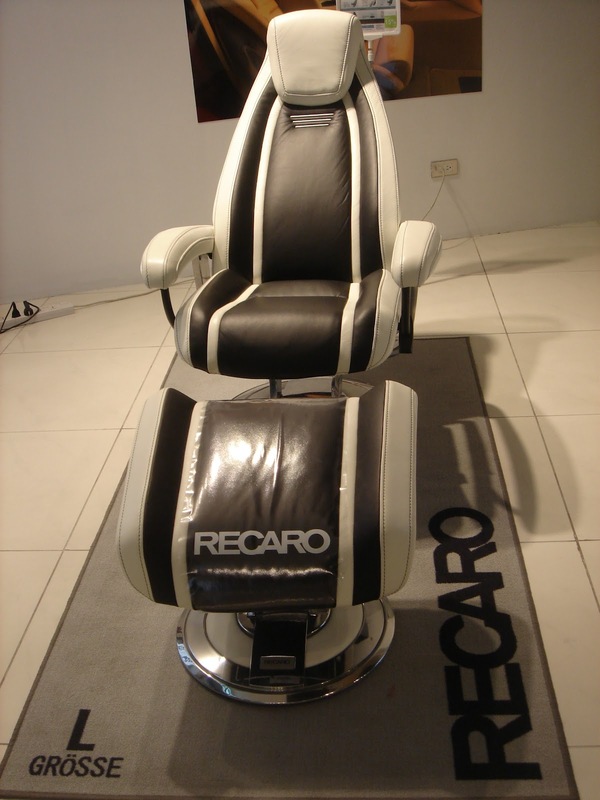 Recaro's furniture collection: It’s a man’s world! I suppose this post will be for the men in your life. Unless, you're the sporty type. 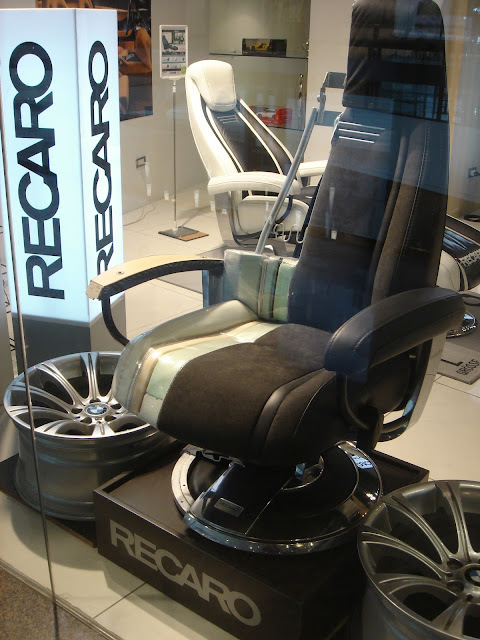 One afternoon, while walking through Greenbelt 5, I stumbled upon the Recaro Showroom. Recaro is the world-renowned German seat manufacturer of sports cars such as Lamborghini, Ferrari, Porsche, Audi, etc. 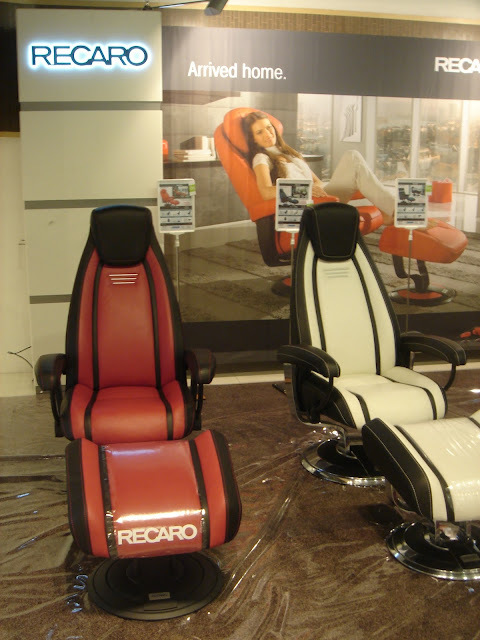 In the showroom they are featuring Recaro’s Relax furniture collection. You’ll find sporty single seaters to cinema center sofas made of leather in Recaro’s unmistakable form. If you have a media room or your man would like to build a man cave in one part of your house, these would make perfect furniture pieces. I’m pretty sure he would agree! 3rdlevel Greenbelt 5, Ayala Center, Makati City.